Section 93 of the Canadian Constitution Act, 1867, laid the legislative foundation upon which post-Confederation education in Canada was built. Section 93, while a watershed, was also a reaffirmation of the existing legal framework within which colonial schooling had already developed in Canada; by allocating the responsibility of education primarily to the provinces rather than the federal government, section 93 maintained an array of independent school acts while resisting a single national school system. 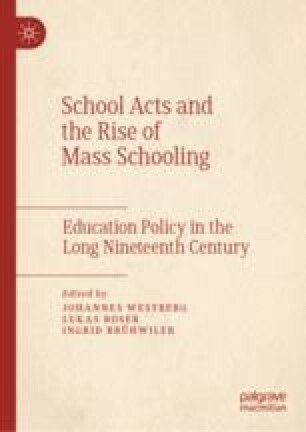 This chapter examines the development of colonial school acts in the nineteenth century that led to section 93 of Canada’s constitution and the unique features of Canadian public education as a result, with particular reference to the constitutional entrenchment of publicly funded separate schooling for Catholics and Protestants.